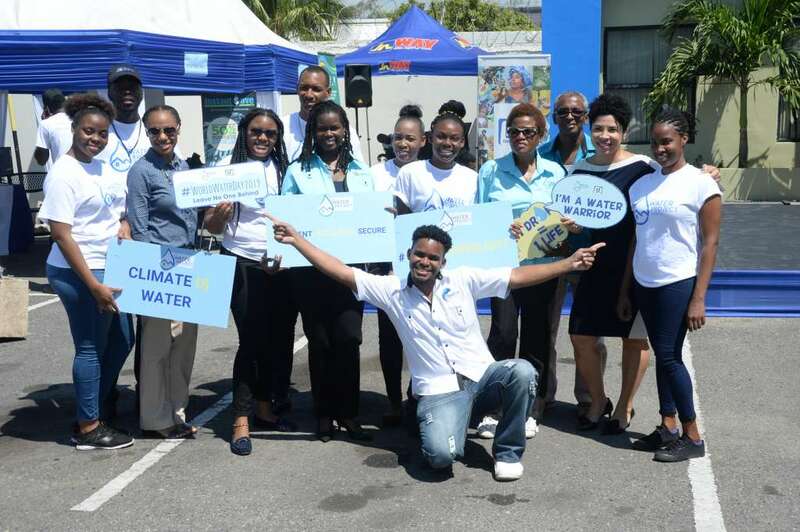 Onyka Barrett Scott (fourth from left), general manager for JN Foundation leads the charge of water conservation messages along with volunteers and partner, Anaitee Mills (second from right standing), Consultant, Climate Change Sustainable Division at the Inter-American Development Bank. 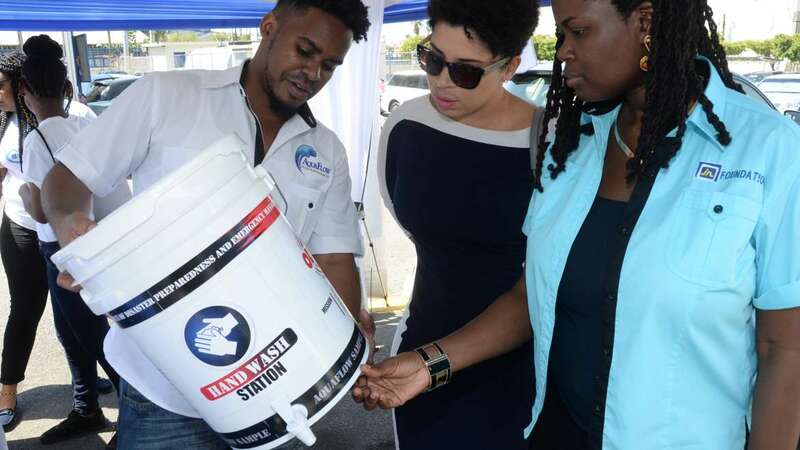 Occasion was Water Tech-Fest exhibition that was mounted at the JN Bank Half-Way-Tree Branch by the Water Project Jamaica in observation of World Water Day on Friday, March 22. 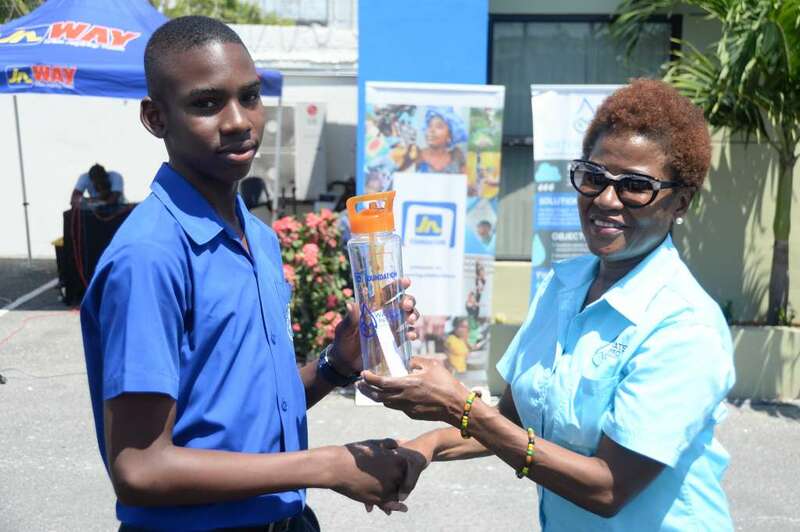 Jacqueline Cameron (right), project manager of the Water Project Jamaica presents Patrick Frater, a student of Jamaica College with a water bottle after he answered a quiz correctly. 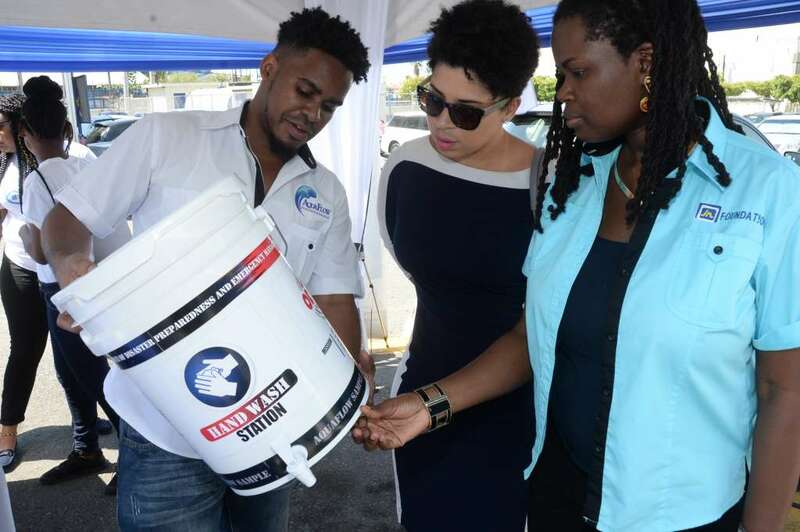 Onyka Barrett Scott (right), general manager for JN Foundation and Anaitee Mills, consultant, Climate Change Sustainable Division at the Inter-American Development Bank examine a converted keg being shown by Jovan Evans of Aquaflow Products and Services at the Water Tech-Fest.